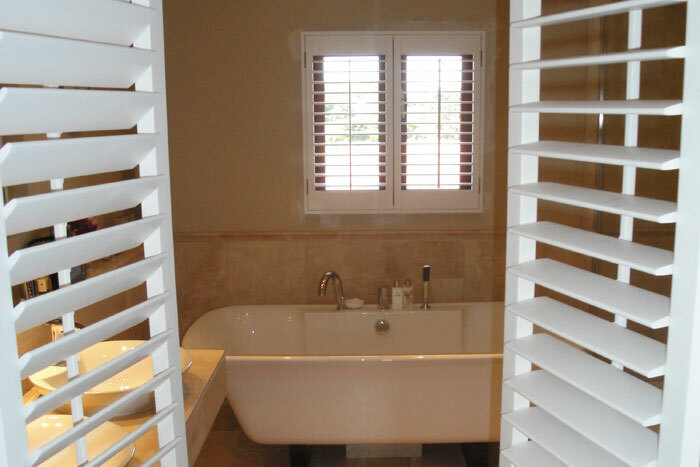 Bathroom shutters are the ideal window treatment as they enable light to filter through the shutter slats, while giving privacy to the room if the louvers are tilted at the right angle. 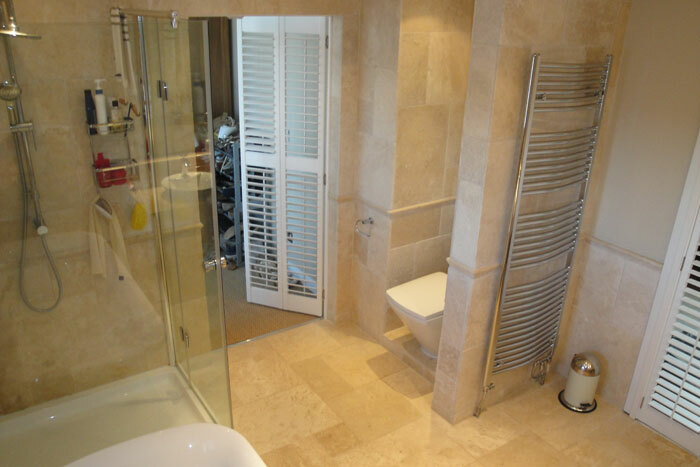 And with the old ‘floral’ privacy glass falling out of fashion in favour of clear glass windows in bathrooms, shutters could be just the ticket. 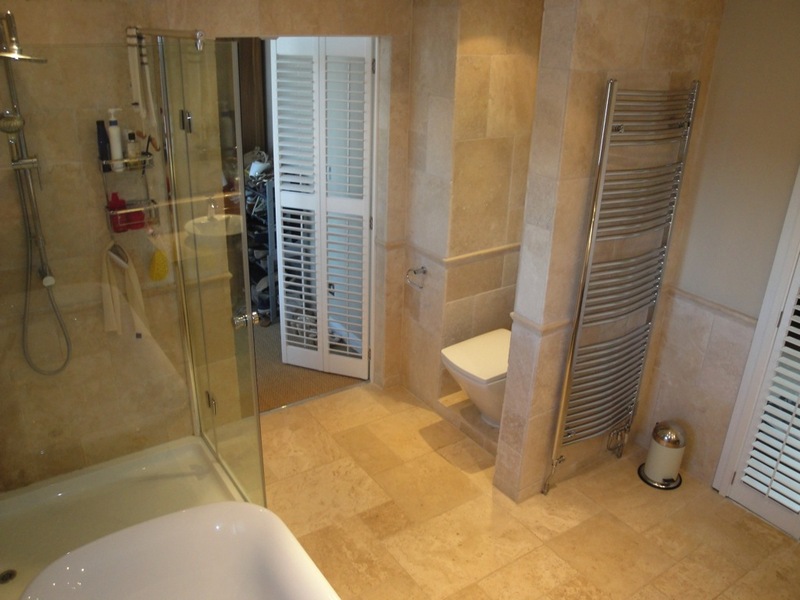 This bathroom in Torquay was an en suite and we suggested using shutters as doors between the bathroom and bedroom. That way, the slats can be closed when privacy is needed, or you can have the slats tilted open when you want light to filter into the bedroom. We install shutters in the following areas: Cornwall, Devon, Somerset, Dorset, Gloucestershire, Withshire and including towns and cities of Taunton, Exeter, Torquay, Bristol, Bath, Sherbourne, Shaftesbury, Cheltenham, Gloucester, Plymouth. 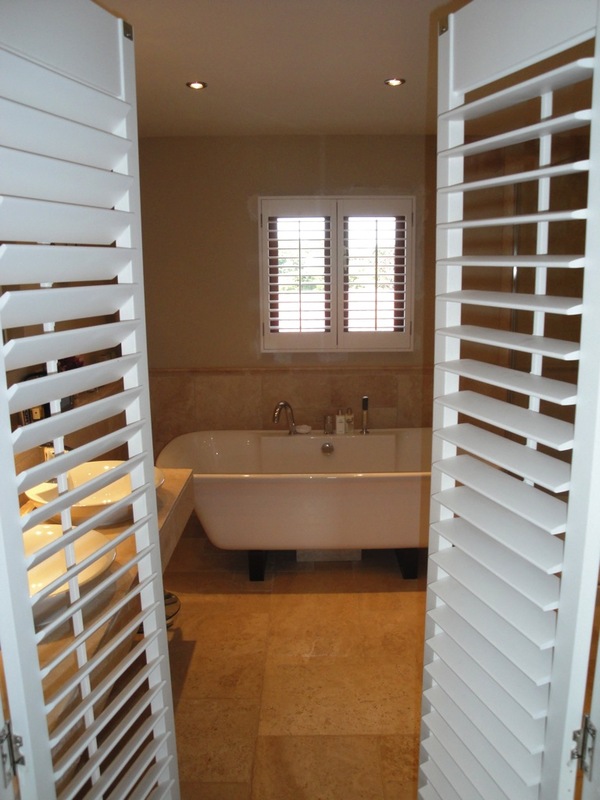 We design and install plantation shutters for clients all over the South West of England. Our interior shutters can be fitted to suit any window, and our background as interior designers means that we not only install your interior shutters, but we advise on style too.